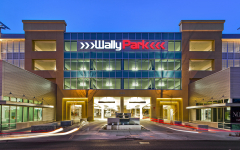 IPD served as Architect of Record for the WallyPark Premier Airport Parking facility, located at the Seattle-Tacoma International Airport, Seattle, Washington. 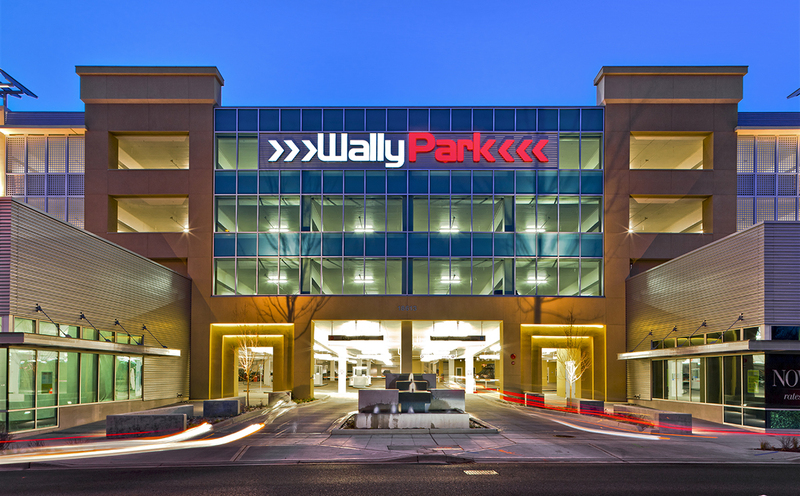 This state-of-the-art parking structure provides travelers with both valet and self-park options, as well as a high level of customer amenities. The sleek and modern design features an entry accented by a linear sculptural water feature as well as ground-level retail. 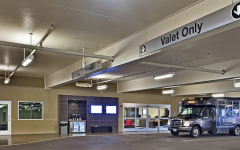 Patrons have the option of continuing to the designated self-parking stalls or taking advantage of valet service which includes a large, brightly lit drop-off area adjacent to a comfortable, smartly designed lobby. Here, attendants transfer luggage to the shuttle pick-up location. 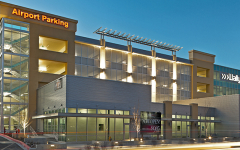 The building exterior was designed for maximum impact, not only drawing patrons into the parking structure but also into the 16,000 SF of prime retail space along International Blvd. This integrated retail space includes restaurants and service businesses, providing additional amenities for travelers and local customers. The design also includes a fully functional automobile-service center.